Kingsland builds his niche by connecting the dots between the teachings of the Buddha and scientific discoveries about meditation and mindfulness. There are many books that tell the life story of Siddhartha Gautama from various perspectives (e.g. famously the books by Hermann Hesse and Karen Armstrong.) There are also a number of books reporting the science of meditation (e.g. Herbert Benson and Sat Bir Singh Khalsa.) However, it’s not so common for the subjects to be overlapped. There’s a reason that this middle path hasn’t been more widely studied. While Buddhism is arguably the most science-friendly of the major world religions, there’s always a gulf between spiritual and scientific thinking. The writer has to figure out how to chart a course through rocky waters. Books appealing to spiritual seekers are likely to come across as insubstantial fluff to the scientifically minded reader, and books appealing to skeptics are likely to feel materialistic and cold (and, perhaps, naive) to the spiritualist. The Buddha’s teachings about the need for the practice to be experiential, rather than faith-based, offers a unique opportunity to tread this tightrope. Furthermore, the Dalai Lama’s willingness to facilitate a dialogue between science and Buddhism has been crucial as well. One can easily set aside controversial issues like reincarnation and karmic law as they aren’t essential to the value of mindfulness. The book consists of twelve chapters. The chapters generally begin with a story or teaching from the life of Buddha, and then go on to investigate the relevant lesson in more detail with particular emphasis on any relevant scientific discoveries that support said teachings. The story of Buddha begins in a wealthy, high-caste household with young Siddhartha Gautama being kept from seeing the effects of aging, illness, and death. When the young Siddartha, nonetheless, sees these things, it is a powerful introduction to the concepts of impermanence and suffering that will play a central role in his future teachings. Chapter 1 starts this introduction and also offers an overview of the book. Chapter two continues it. In Chapter three, Kingsland describes a little of the known history of meditation, though its origins are lost to time. 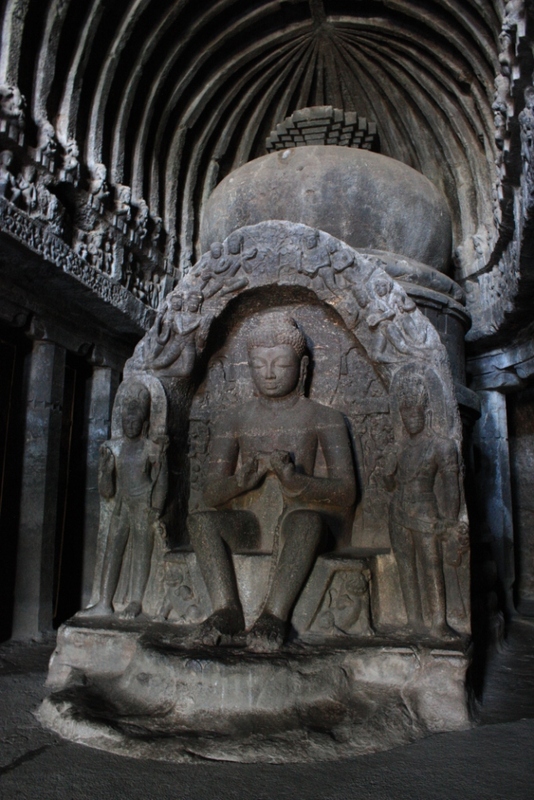 Chapter 4 is entitled “The Second Dart” and it discusses the Buddha’s teaching of the same name—the second dart being one’s mental reaction to an event (i.e. the initial dart.) Chapter 5 investigates the question of whether there is a self—and, if so, of what manner. A core idea within Buddhism is that the self is illusory. Chapter 6 gets to the heart of the matter by explaining the mechanism of mindfulness meditation and what has come to be known as MBCT (Mindfulness Based Cognitive Therapy)—a secular approach to the use of mindfulness to improve well-being. The next chapter tells the story of how a group of fire worshippers came to follow the Buddha after he made clear that everything (their senses, thoughts, and emotions) were aflame with craving, hatred, and delusion, and that springboards into a discussion of how mindfulness is used to reduce craving and addiction. Chapter 8 tells the story of an attempt to kill the Buddha via an angry, drunk elephant, and the Buddha’s thwarting of the plot by way of calm and compassion. As one might have guessed, the chapter is about moderating emotions, just as the Buddha controlled his fear before the elephant. Chapter 9 takes a jaunt into evolutionary biology to question how the mismatch between what humans evolved to do and what we do in the modern world causes mental illnesses and how mindfulness can help mitigate the problem. Chapter 10 is about metacognition, or the ability to observe and reflect upon our own mental experience—i.e. thinking about thoughts. Chapter 11 is about cognition and decision-making, and the role that meditation can play in improving our performance in this domain. The last chapter discusses the Buddhist conception of death and enlightenment. It isn’t until this point that there’s a major divergence between the Buddhist and scientific viewpoints. There is a discussion of the Buddha’s teachings emphasizing that belief in ideas from on high is not so important as experience. There are only a few graphics (e.g. maps and diagrams—mostly of the brain) but there is no need for additional graphics. The book has references annotated. I found this book interesting and thought-provoking. It uses the stories of Buddha as well as some stories from the present day to make the reading more engaging and approachable. The discussion of scientific research is easy for a neuroscience neophyte to follow. I’d recommend this book for anyone interested in learning more about the science behind Buddhist practices. It’s over 100ft (30m) tall. A Maitreya is a “future Buddha,” meaning a Buddha who hasn’t yet appeared, but who was prophesied to live in an era to come. For people unfamiliar with Buddhism, this might seem strange. The Buddha we normal think of is Gautama Buddha, or the Shakyamuni Buddha (Siddhartha Gautama.) 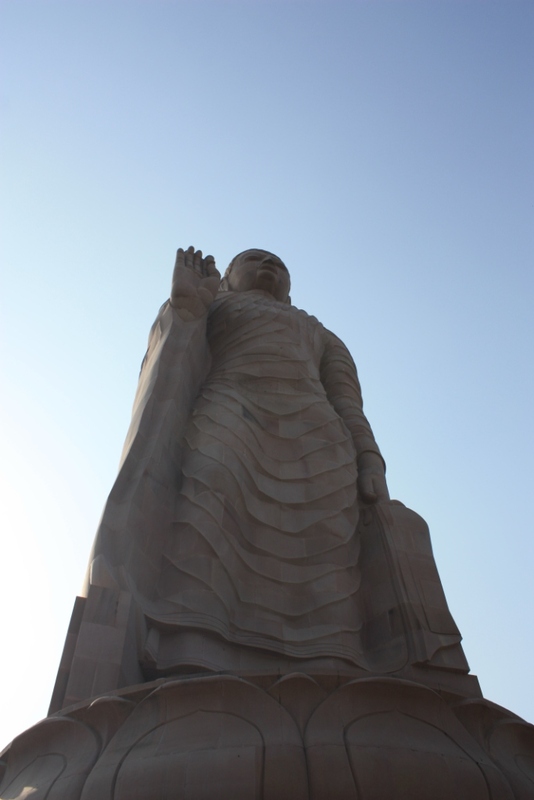 He was the founder of the religion, but one of many said to have achieved enlightenment. 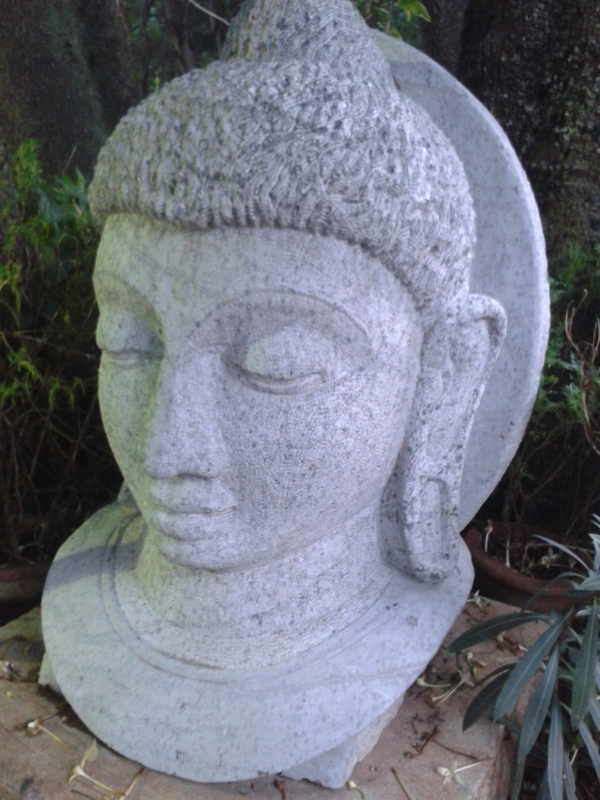 In other words, the Buddha we think of was an awakened one, not the awakened one. 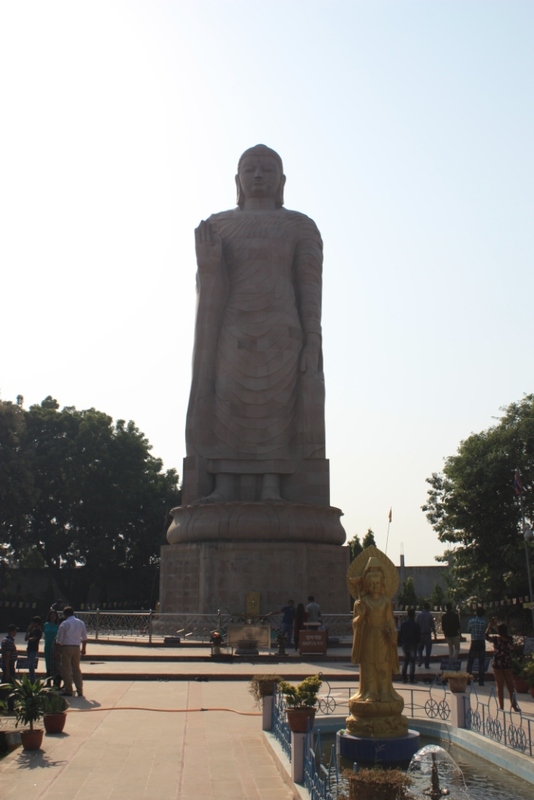 Being one of the four most major pilgrimage sites of Buddhism, Sarnath has a number of temples built by members of countries with large Buddhist populations. Among these countries is Thailand. (FYI: There is also a Chinese Temple, a Japanese Temple, and a Tibetan Temple.) While the guidebook advice is that these modern temples are skippable, an exception might be made for Wat Thai, which is both nearby to the [unskippable] Archaeology Museum and has a giant Buddha statue. 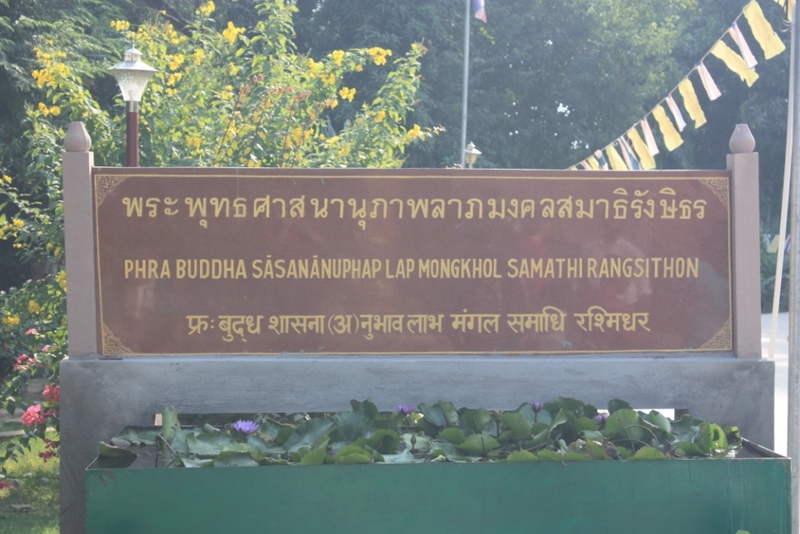 Here is the sign for the giant Buddha. Taken on September 26, 2015 at the Karnataka Chitrakala Parishath. The central premise of Buddha’s Brain is that the brain’s neuroplasticity allows one to change the way one experiences life by changing the way one perceives and responds to life’s little trials and tribulations. Over time, one can become happier, more loving, and wiser—i.e. one can have a brain more like the Buddha’s. “Spiritual” matters are always at the periphery of what Hanson is discussing because this type of practice has historically been in the bailiwick of religious traditions—specifically Eastern (and other mystic) traditions that focus on looking inward to be a more virtuous person. However, where said traditions have often relied on assumptions unsupported by current science—such as the existence of a unitary (i.e. universally interconnected) consciousness, Hanson considers the issue from the perspective of our current understanding of the brain. In particular, he focuses on the fact that we are capable of training our brain to respond more positively to events. Evolution, beautiful and elegant as it may be, has made us pessimistic and prone to disproportionately focus on the negative. This is because survival depended on being ready for worst case scenarios. So we imagine what that worst case is, and endlessly replay scenarios to prepare ourselves for how to deal with said worst cases. While this approach may have enhanced our ancestor’s survival probability, it can easily get out of hand and for far too many people it has. In the book, Hanson proposes three evolutionary strategies (i.e. creating separations [us / them, I / you, etc. ], maintaining stability, and threat avoidance / opportunity seizure) that often end up tainting our worldview, raising our stress levels, and causing declining health and well-being. The book does get into the mechanics of stress reduction as well as how to change the way one experiences the world so as to be exposed to less stress. Rick Hanson is a psychologist who holds a Senior Fellowship at a center at the University of California at Berkeley. He also founded his own center called The Wellspring Institute for Neuroscience and Contemplative Wisdom. The book is organized into 13 chapters arranged in four parts. The four parts are: I.) The Causes of Suffering, II.) Happiness, III.) Love, and IV.) Wisdom. These parts are preceded by front matter which includes the first chapter which lays out the basics of the brain in layman’s terms as well as discussing the evolutionary survival strategies that sometimes fail to serve us well in modern living. More detailed discussion of the brain is introduced throughout the book at is relevant to the discussion at hand, but the level of this discussion should be approachable to all readers. Each chapter is divided into many subsections to make the reading easily digestible. One of the nice features of this book is that each chapter has a bullet point summary at the end. Actually, the author uses bullet points prominently throughout the book. There is one appendix which explores questions of nutrition for brain health. There is an extensive reference section containing largely scholarly references, as one would expect of a science book. I mentioned earlier that I wasn’t certain whether to classify this as a self-help or popular science book. In many ways it’s both. It does give a great deal of practical advice about what one can do to change one’s life. On the other hand, it offers more background into the science than your average self-help book—though always at a layman’s level. I’d recommend this book if you are interested in self-improvement, the science of the mind, or both.